We grew up fishing this harbour, its been an enormous part of our lives and as children we would come to Lynch’s to buy fresh bait for at day exploring the pylons and rock walls of of our magnificent foreshore. You can’t imagine how much pleasure it gives us to now offer others the opportunity to do the same. If your visiting our city, hosting visitors or just want to give the kids a fun outdoor experience without investing in or maintaining expensive equipment, we have just the thing for you. Pricing is outlined below. Our hire packs start from $17 for the day. Included are a rod and reel and a satchel containing some terminal tackle, a fishing knife and a keeper net to carry your catch. Additional rods may be added at $12ea. All hirers must agree to following the DPI rules and regulations for recreational fishing in NSW and we will provide a link to a summary of these rules in your booking confirmation email. We are able to provide you with a DPI recreational fishing licence as required for adults at $7pp. The following link details any applicable exemptions from licencing fees. 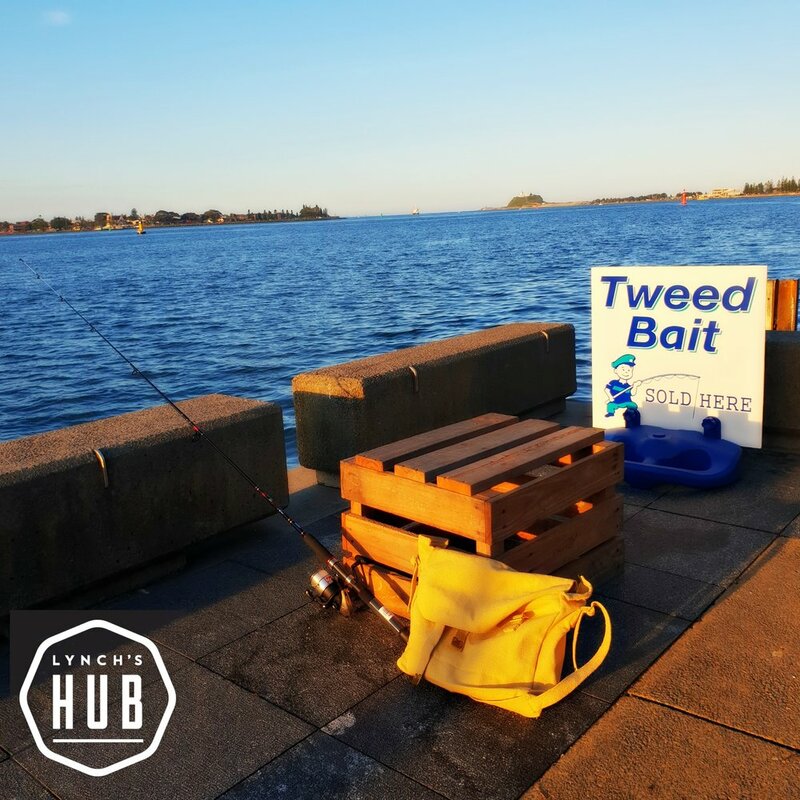 We also supply a range of Tweed baits and can add a sandwich pack or bike hire to complete your day out on the foreshore. By submitting your email, we promise to not pass on your details.